ASCEND Pittsburgh is a bouldering-centric, indoor rock climbing gym with over 10,000 sq. feet of Walltopia-built climbing walls surrounded by Flashed flooring, all housed within a 27,000 sq. foot, second floor space in Pittsburgh’s Southside. 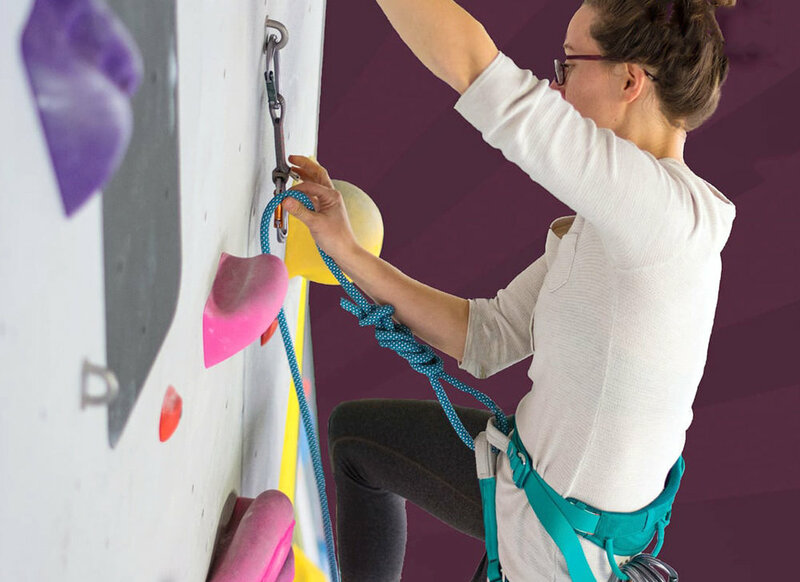 Beyond bouldering, ASCEND offers roped climbing on a 24-foot-tall wall featuring 20 climbing stations with a mix of auto-belays and top-ropes. Did you know climbing gyms have to recycle their ropes after a certain amount of wear? Ropes that show even the slightest sign of damage need to be retired to keep climbers safe. Some of these signs include fuzziness or fraying of rope, flat spots, stiffness, or an exposed core. Rope replacement guidelines recommend retiring ropes used daily after one year, so indoor climbing gyms replace their ropes frequently. Instead of seeing that rope go to another landfill, we're recycling it into gear for you and your dogs! Get your adventure on the road with recycled rope leashes. These leashes are crafted individually by our team here in Pittsburgh PA, so we can guarantee the quality.